Dean Veall here. 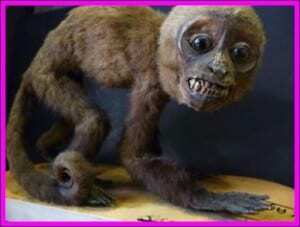 This week I return to a case that is one of my favourite in the Museum for my Specimen of the Week. It has particular relevance in a week I had my bi-annual haircut and lost my full head of curls, as the common name for this specimen has the word comb in it. I also chose this specimen as it challenges the long held stereotypic view of the group it belongs to, not slow, fumbling and herbivorous , but vicious, predatory and damn right mean looking (and ultimately really cool, swoon), you certainly wouldn’t pick a fight with this specimen. This week’s Specimen of the Week is…. 1). What’s in a name? The Venus comb shell is a far more poetic name than was found in books such as the popular Victorian era ‘Wood’s Natural History’, the thorny woodcock. This was first used as the appearance of the shell, with it’s long protruding siphonal canal, was thought to resemble the beak of a woodcock with the thorny reffering to the long spines that run along the canal of the shell. The specimen label for this shell refers to Murex tennispina, but after doing some research I couldn’t find a species in any of the literature, the closest I did find based on comparison of described specimens and photos was Murex tenuispina which was a species first described by famous French anatomist Jean-Baptiste Lamark in 1822 in his work Histoire naturelle des Animaux sans Vertèbres. 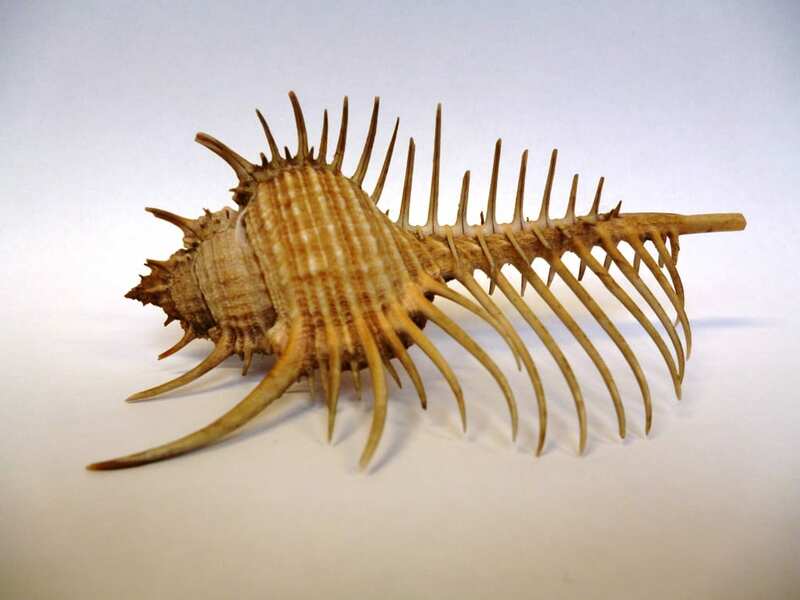 A mere 192 years later and hot off the mollusc press in 2014, Murex tenuispina was offically recognised as a synonym of Murex pecten, or the Venus comb shell. But why the name? I think it was given that poetic name based on the famous and much parodied painting Birth of Venus by Botticelli where Venus’ hair is being combed with a shell, look closely and it’s obviously not a Murex pecten but due to the shell’s comb like appearance the name obviously suits. 2). Where in the world? 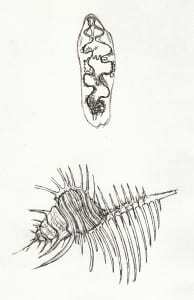 As many of those schooled in zoology will know ‘shells’ such as the Venus comb belong to species of gastropod molluscs or snails. 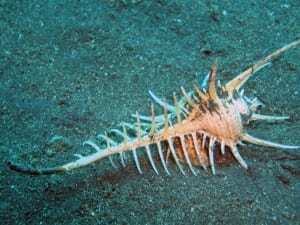 This species of gastropod are sea dwelling and live in the Indian and Pacific oceans. Over the last two terms we have been running a drawing series as part of our public events programme called Drawing Life. We have been using this evening event to understand if the act of drawing helps visitors engage with, what can be at times quite complex, ecological theory. 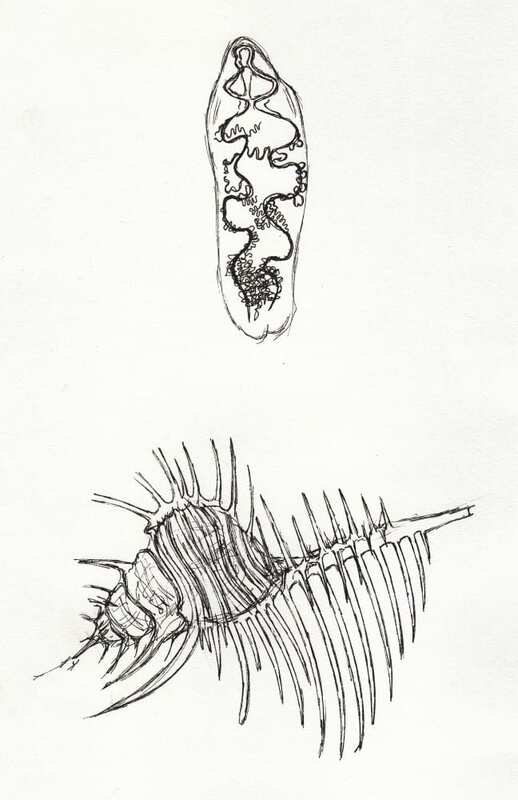 During the sessions we used our collection to create fictional ecosystems, one of the most popular of the specimens in our marine ecosystem was the Venus comb shell which produced some great responses from our drawers such as this one. More information about Drawing Life can be found on the Drawing Life Blog. Our Venus comb shell is around 5 inches long and is covered along the siphonal canal and the edges of the shell with over a hundred spines of varying length. 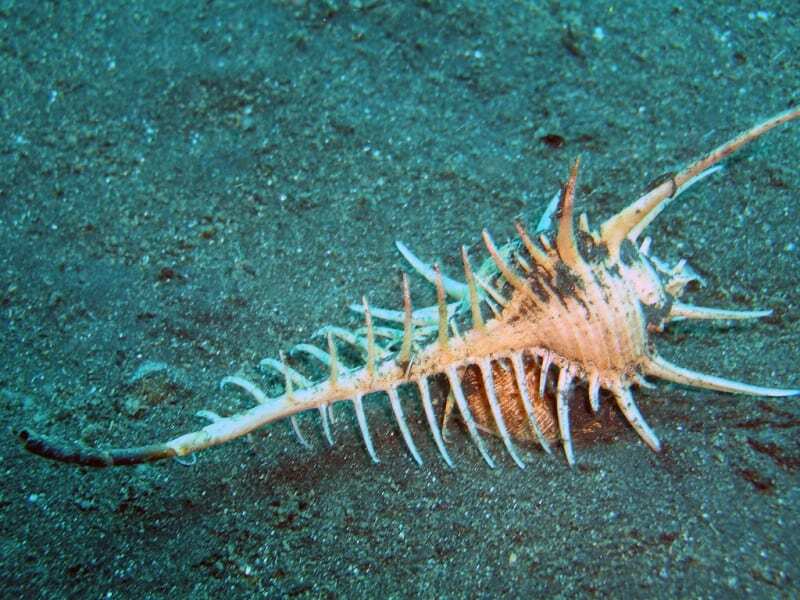 It’s believed that these spines are primarily used for defense and prevent the snail sinking into the soft sediment of the sea bed. The siphonal canal which is a distingushing feature of this species and infact the wider grouping of molluscs known as Neogastropoda, houses a extension of the mollusc’s mantle known as the siphon. The Venus comb snail draws water in through the siphon into the mantle cavity and over the gill which then serves as a chemoreceptor to help the snail locate its prey. This snail is a veracious predator on smaller molluscs like clams, to reach the soft parts of these animals, the Venus comb will excretes a softening fluid onto the shell of its prey and then scrapes at it with the hundreds of tiny teeth that line its mouth.